Okay, straight up, this is a review of a bin. I’m not gonna lie to you. But when is a bin more than a bin? When it’s a waste separation and recycling system. As you know, we moved house a few weeks ago and although in some ways we have a lot more space, like a garage and a garden and a loft, we do have a smaller kitchen, and you can’t keep your kitchen bin in the loft can you? NOT handy when you’re cooking tea. In fact, in the weeks leading up to the move I started to freak out a little bit about the kitchen. Belle must have been sick to death of me talking about where we were going to put a table, and I’d say that by the time it came to moving day she was DONE with all talk of recycling storage options. In the old house we had a big space under a worktop where we could keep all that kitchen crap like carrier bags and recycling and potatoes, but in the new house we don’t have anything like that. What I needed was some kind of genius system where I could keep rubbish and sort recycling without it taking up any more space than a regular bin. OH WELL HELLO JOSEPHJOSEPH TOTEM 60! The JosephJoseph Totem 60 fits neatly into a corner, and cleverly coordinates with the kitchen walls. (It’s like it was meant to be!) It actually takes up LESS space than our old bin on its own, and yet we’re two weeks in and honestly, it doesn’t feel like we’ve had to compromise. Essentially your bin is split into two sections. 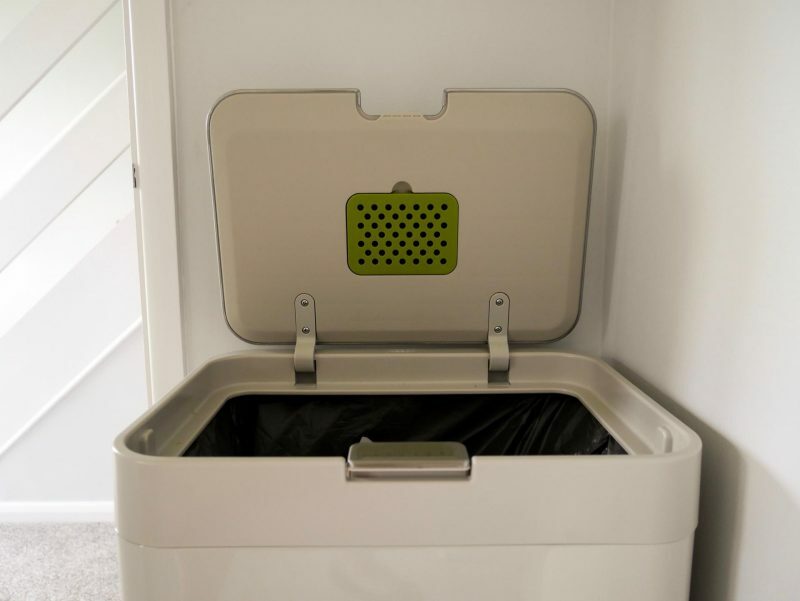 The top half is for regular waste and, if you recycle food waste, you can also slot in a food waste bin. 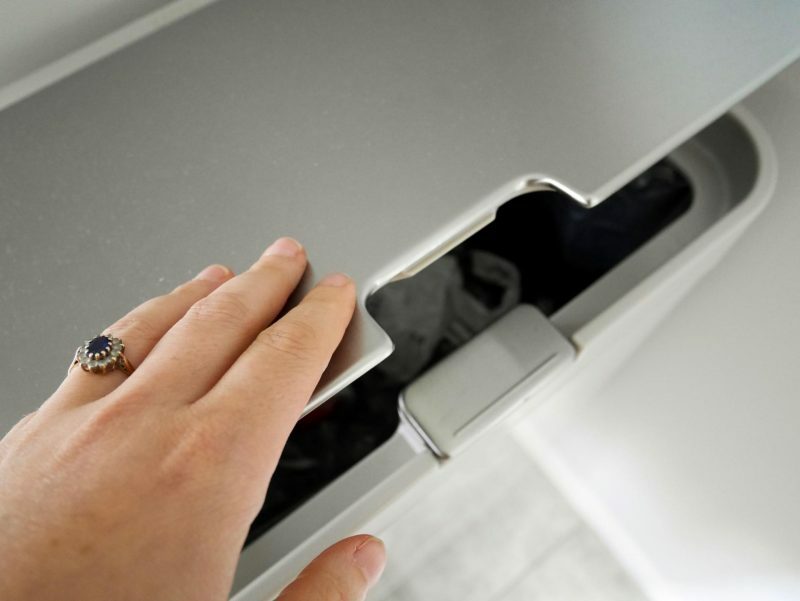 The bottom half is a pull out drawer with an optional divider, where you can sort your recycling or even use it for other storage. 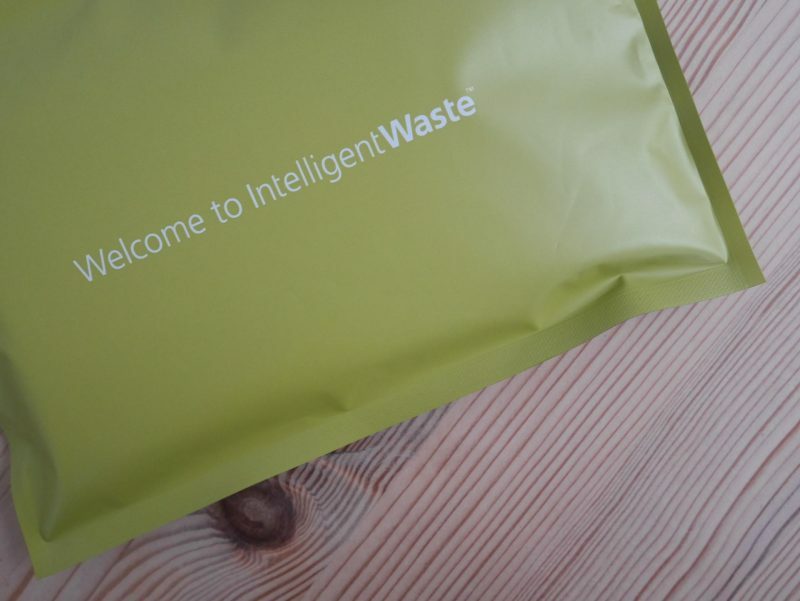 Obviously you can’t fit a whole family’s recycling for a week in the drawer – or at least not a blogging family, that lives in a sea of packaging and cardboard – but we’ve been able to keep plenty of empty Jaffa Cake boxes and Prosecco bottles in it, which works for me. Larger items we can put straight into the main bin outside, or I just empty it every so often. 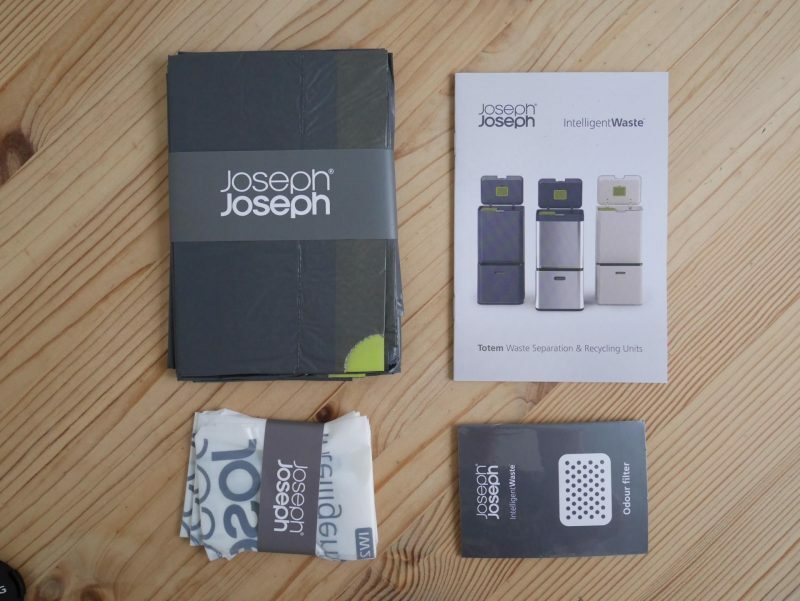 The JosephJoseph Totem 60 comes with a pack of goodies to get you started, including an odour filter, which fits into the bin lid, and a few bags for the main bin and the food waste unit. 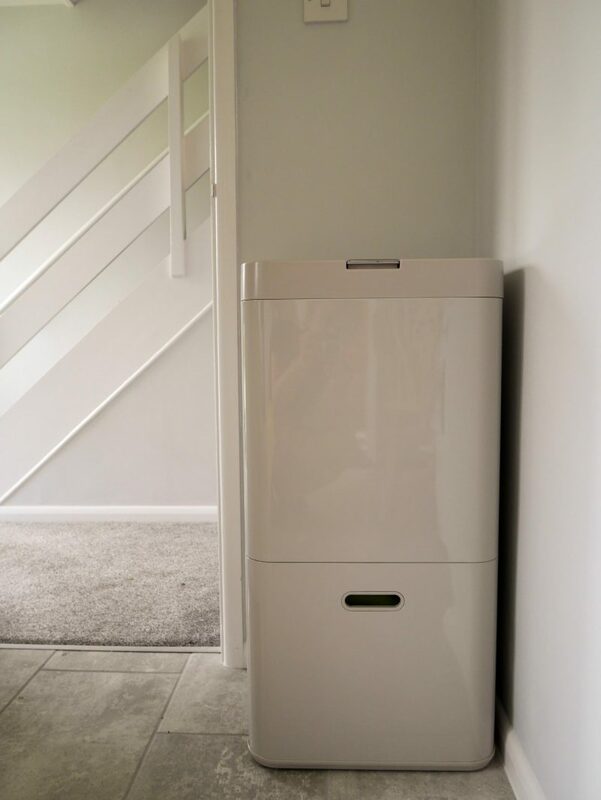 If you’re looking for a sleek and stylish way to store waste and recycling, or are short on space in your kitchen, then I can definitely recommend the JosephJoseph Totem 60. 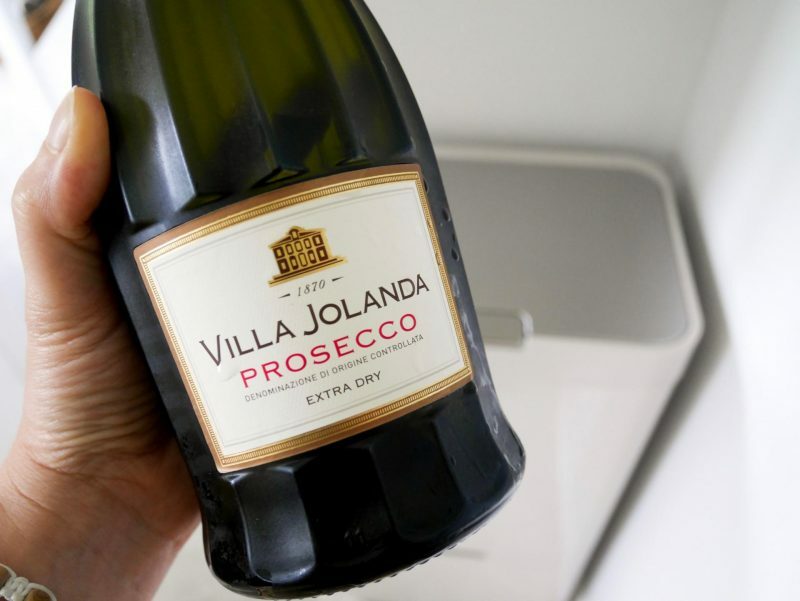 Perhaps a good idea to crack open a box of Jaffa Cakes and a bottle of Prosecco to celebrate? Just to make use of the bin obviously. We were sent the JosephJoseph Totem 60 for the purposes of this review. All opinions my own. Being a bit weird, I was interested by this. It sounds like the bin for me! Wow, I want this bin! I think it will fit very well in my house. That’s a brilliant invention. 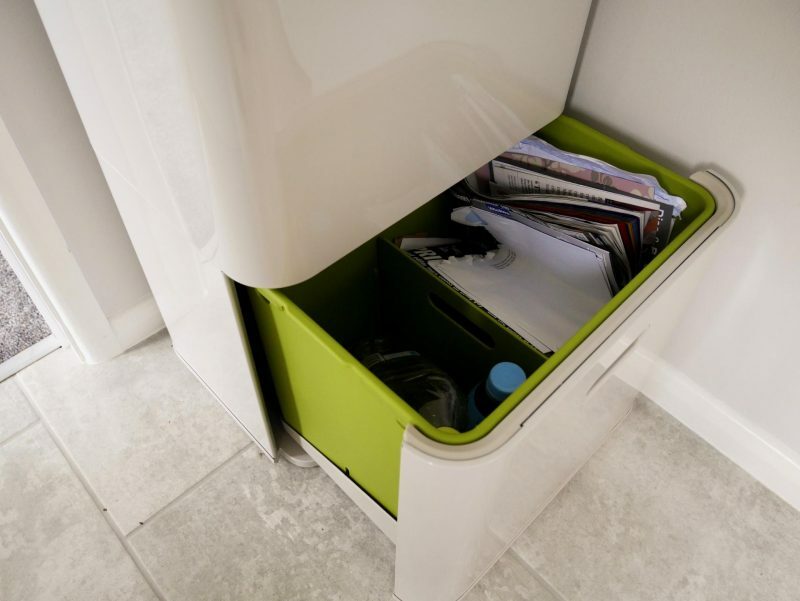 It looks gorgeous but, on a practical level, won’t the food waste bin get all dirty with the regular waste? It’s a good question but honestly, it doesn’t. Very occasionally the bottom of the food waste part gets something on it, but because there isn’t any food waste in the main bin there isn’t really anything too messy to get on it? The stuff in the regular waste ends up being a lot of stuff like plastic wrapping and things like that that aren’t sticky!